Formal hedging is perhaps the most classic form of hedging. Neatly trimmed and shaped privet or box hedges are the first examples that will spring to mind when people think about hedging. Formal hedges are sophisticated and clean looking, making them appealing to gardeners who prefer a garden that appears neat and tidy. It is worth noting, however, that formal hedging will require more frequent maintenance than informal hedging, which generally requires not much more than some light trimming or sometimes even no pruning at all, as it tends to focus on the natural appearance and growth habit of the – often deciduous – hedging plant instead. However, if you desire your garden to have a classic, elegant appearance, formal hedging will certainly be worth the extra effort. When creating a formal hedge, maintenance is crucial. The species of hedging plant that are best suited to formal hedging will almost never be suited to informal hedging. More practically, this means that a lack of upkeep will not result in an informal hedge, but rather in a messy looking hedge that could have been a formal hedge. The opposite can be achieved however, by clipping a hedging plant more commonly associated with informal hedging into a more formal shape. Naturally, this means that the hedging plant in question should be trimmed more frequently than people commonly do when the species is used for informal hedging purposes. One or two pruning sessions per year usually do the trick, but some plants require more. Especially flowering hedging plants, as flowering adds an informal character to your hedge. When starting to grow your formal hedge, shaping is the most important aspect. Many hedging plants that are suited to formal hedging are quite slow-growing, as slow-growing hedges tend to retain their shapes for a long time. This applies to most species of box, privet, yew and holly. Hedging conifers are also highly popular plants for formal hedging purposes, but it is worth noting that most conifers will require more work, as they grow faster. After you have achieved the desired shape, annual or bi-annual trimming will be required. When and how often your formal hedge will need trimming will vary per hedge plant. Please refer to the pages of the specific hedging plants used for more detailed information on planting and maintenance requirements. Another type of formal hedging that is notable enough to warrant its own section on our website is the gardening art known as topiary. 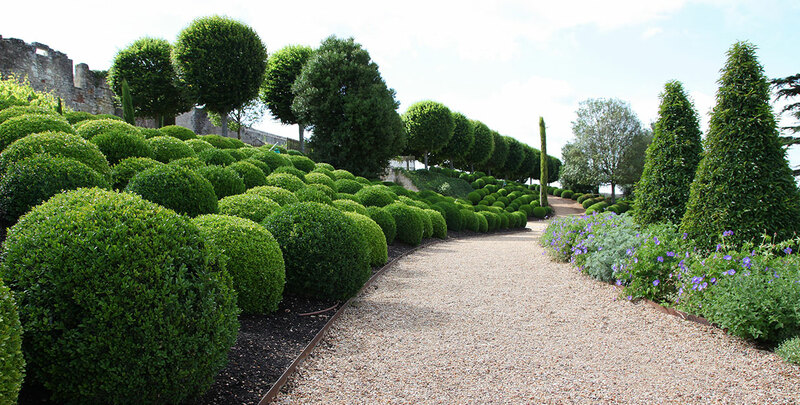 Instead of a neat, tidy and rectangular hedge, topiary focuses on clipping hedges into different shapes. 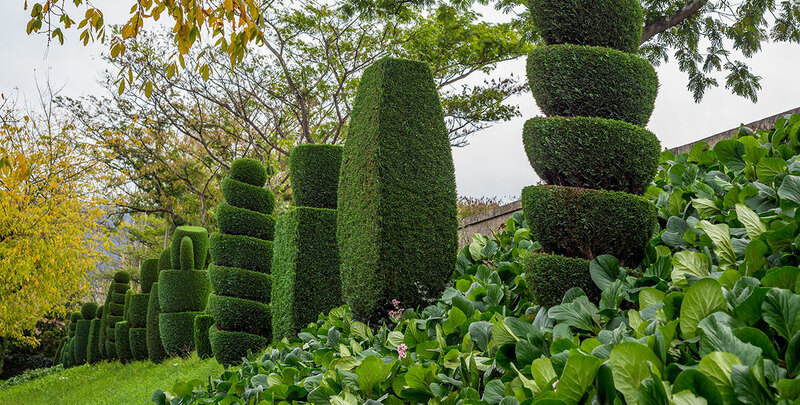 These shapes could be geometrical shapes, like cubes and spheres, but experienced gardeners also trim their topiary specimens into animal shapes or even human faces. 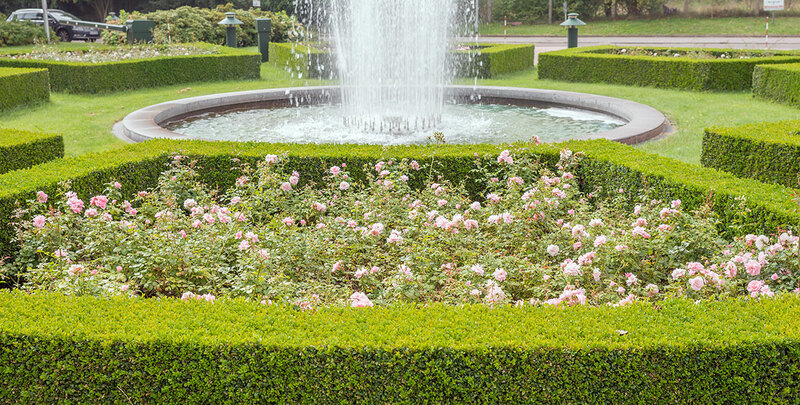 Even though this will result in plants with a vastly different appearance than formal hedging, the basic requirements for topiary are similar to those for formal hedging. A plant needs to be slow-growing in order to keep its notable shape for the longest time possible. Of course, topiary also demands frequent pruning, in order to keep the shape of the specimen defined clearly. In addition to the highly popular and traditional hedging plants listed above, there are many other varieties and cultivars available that lend themselves very well to formal hedging. Box, for instance, has been a formal hedging favourite for many years. However, box species are susceptible to a detrimental disease known as box blight, which is why in recent years, there has been an increasing demand in alternatives for box hedging. Spindle, also known by its botanical name euonymus vegetus, is one of those alternatives. 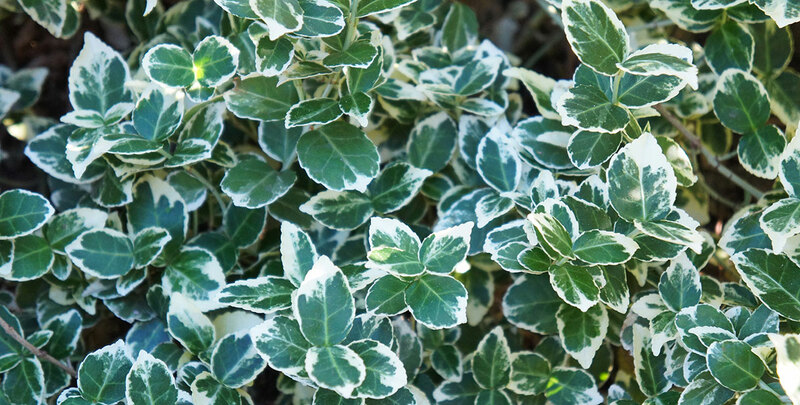 It is a hardy evergreen shrub that can be planted almost anywhere. As it is a slow grower, it is a perfect hedging plant for elegant, formal hedges and is therefore often used as a substitute for a box hedge. Another popular replacement for box is the Japanese holly. Despite its name, Japanese holly does not actually resemble holly. Due to its small, oval leaves, a Japanese holly hedge looks a lot like a box hedge. In fact, only experienced gardeners will be able to tell the species apart from box. In addition to being impervious to box blight, Japanese holly is also hardier than box and can be pruned much more severely without any negative consequences. In recent years, many formal gardens have replaced their box hedges with Japanese holly hedges and given the strong, resistant nature of the latter, it is easy to understand why. Another formal hedging plant well worth considering is berberis, which is perhaps better known as barberry. Evergreen barberry is a dense, slow-growing shrub that features berries that will attract birds. Before these appear, there will be pretty flowers. The varieties berberis frikartii ‘Amstelveen’ and berberis frikartii ‘Telstar’ are evergreens that were specially cultivated for hedging purposes. Warted barberry or berberis verruculosa is also suitable. All barberry varieties have handsome leaves with a dark green upper and a bright white underside. In addition to its appearance, barberry has the practical advantage of keeping intruders out with its thorns. This makes berberis ideal as a formal security hedge. Formal hedges are more than just a green wall that will mark the border of your garden. There are many options to make a formal hedge as tall as you want. And even though flowering is a more common aspect among informal hedges, there are hedging species available that will retain a formal appearance even when their flowers appear. We would like to help you find the perfect formal hedging plant for your garden by providing you with all the information you need, so all you need to worry about is the maintenance of your beautiful formal hedge.